Ask your dealer one more thing. 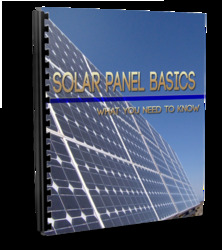 Solar panels are very fragile and frequently get broken during shipping and occasionally during installation. What do they do with these solar panels? You guessed it. To the dump, or in some cases they go back to the manufacturer. These panels you will not get for free usually. Most of the solar panels can be bought for one quarter of their wholesale price though. 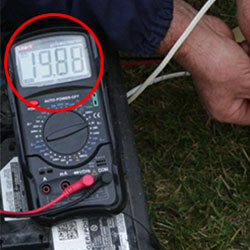 Be sure to test the solar panels to see how many watts they are producing before you buy them though. Usually the relative amount of watts produced compared to the actual amount they were supposed to produce when new will determine the price you will pay. There will be no warranty in any case, so make sure of what you are buying. We have also found one more source of inexpensive solar panels. Used solar panels are available on e-bay. Yes, get an account, it's pretty simple and start shopping. Usually some pretty good deals here. Again, it's buyer beware and make sure the shipping is included in the price, which can get expensive. Have the seller guarantee their condition for 30 days. If the panels are any good they will do this for you, to make the sale.